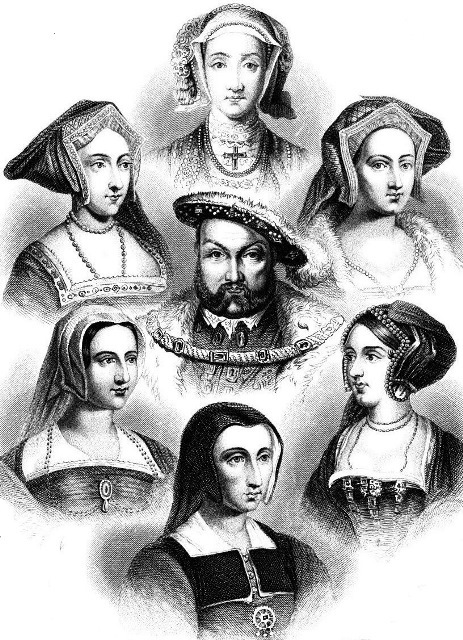 Here is an idea for a rather elaborate group costume, Henry VIII and his six wives. 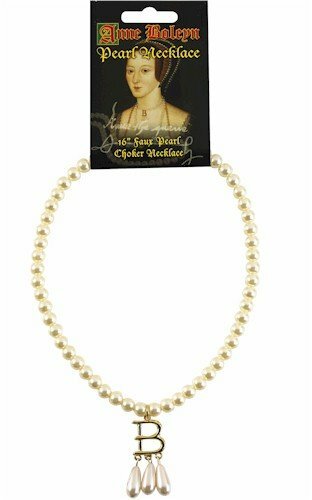 I have listed the items that would have made up a Tudor noblewoman's and a Tudor nobleman's dress, plus some historical descriptions of the ladies in question. Chemise or Smock - Long sleeved undergarment made from linen. 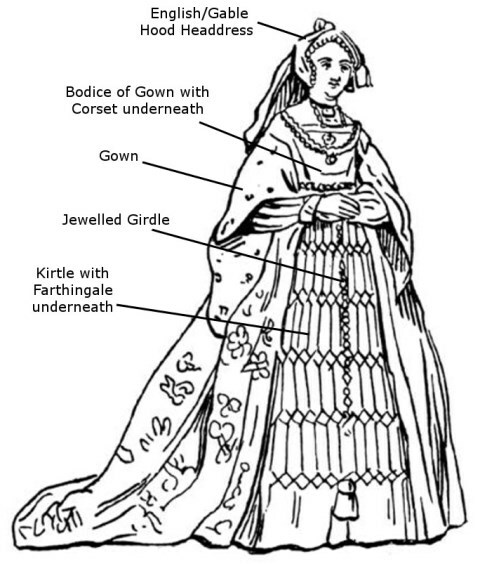 Farthingale - A wide hooped skirt covered in silk, velvet or wool. The hoops were made from whalebone or wicker cane. Corset - Made from heavy linen and stiffened with either whalebone or wood, tied at the back. Kirtle - To be worn over the farthingale. The front panel was elaborately colored and patterned. Gown - Placed over everything else, open at the front to reveal the kirtle underneath. Sleeves were tied onto the bodice of the gown or were sewn on. Jewelled Girdle - A thin line of jewels wrapped around the waist above the farthingale on top of the gown. Pomander - A hollow ball filled with perfume, hung from the girdle. Stockings - Made from either wool or silk. Although Catherine of Aragon was the daughter of King Ferdinand and Queen Isabella of Spain, she did not have typically Spanish looks. Early portraits show her with auburn hair, fair skin and blue eyes. The triangular shaped headdress she is wearing in the portrait above was known as the English or gable hood, it was attached at the back to a long panel of cloth called a lappet. Lappets could be worn loose or pinned up. Possibly a way to distinguish Catherine of Aragon from the rest of the wives is to include an ornate cross necklace like the one shown in the portrait, to show her strong Catholic faith. Anne Boleyn did not conform to the Tudor period's usual standards of feminine beauty which was fair skin, fair hair and blue eyes. Instead she had olive skin, dark brown hair and dark eyes that often appeared black. A Venetian Ambassador described her as being 'not one of the handsomest women in the world. She is of middling stature, swarthy complexion, long neck, wide mouth, bosom not much raised, and in fact has nothing but the King's great appetite - and her eyes, which are black and beautiful." The headdress Anne is wearing in the portrait was known as the French hood, it was crescent shaped and was thinner and smaller than the English hood, it rested closer to and was worn further back on the head. 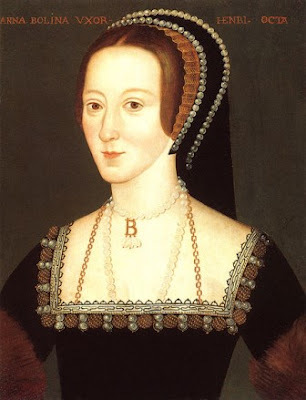 Like in the Catherine of Aragon portrait the necklace Anne wears can be added to provide a distinguishing feature, in this case it is the initial B for Boleyn. Another distinguishing feature that Anne Boleyn was said to have was an extra finger on one of her hands. 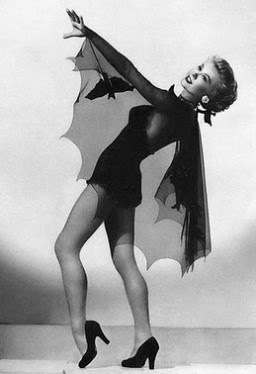 Although this was probably made up to give credence to the accusations that she was among other things a witch. 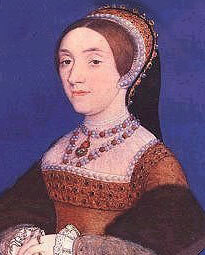 Jane Seymour was in many ways the epitome of Tudor feminine beauty, blonde hair with fair skin. However, the Imperial Ambassador described her as being "of middle stature and no great beauty, so fair that one would call her pale than otherwise." She is also described as having a large nose and thin lips. Like in the portrait of Catherine of Aragon she wears the English hood, the lappet is pinned up. Poor Anne of Cleves, after first meeting her King Henry is reported as saying "I like her not. I like her not". 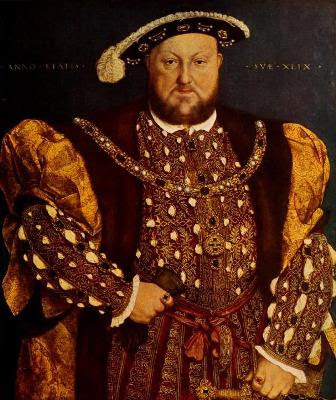 It was once thought that Henry's outrage was caused by the disparity between the Holbein portrait shown above, the portrait that Henry became infatuated with, and the physical reality. 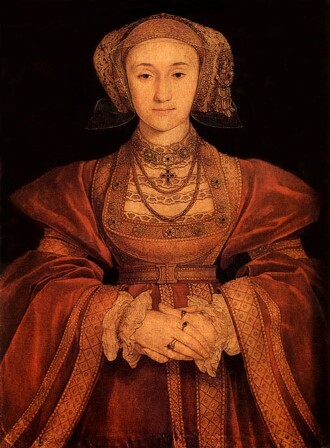 However, historians looking at other portraits of Anne of Cleves have noted that they are all very similar. They now believe that Henry's disappointment with Anne was caused by an awkward first meeting, his own impotence and the fact that Anne was not as sophisticated or as educated as his previous wives. 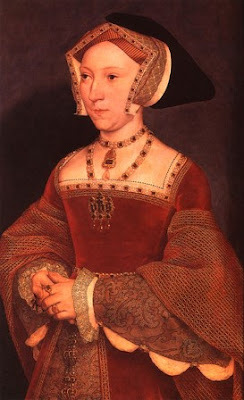 Another problem was Anne's German manner and dress, shown in the Holbein portrait by her headdress. The headdress was called a steuchlein and was popular in Germany and in Northern Europe. The steuchlein was made up of various components, first a linen cap that covered the hair, called the unterhaube, on top of which was the wulsthaube, a padded cap and then the decorative covering known as the schleiertuch. Although not seen in the portrait other sources describe Anne of Cleves as having long blonde hair. 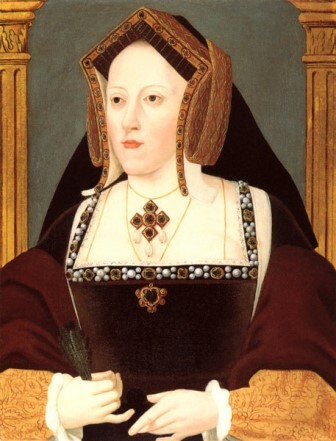 Catherine Howard was still a teenager when she married Henry VIII. She was described by a French ambassador as being "a young lady of extraordinary beauty" and of "superlative grace." She had auburn hair and a petite frame. 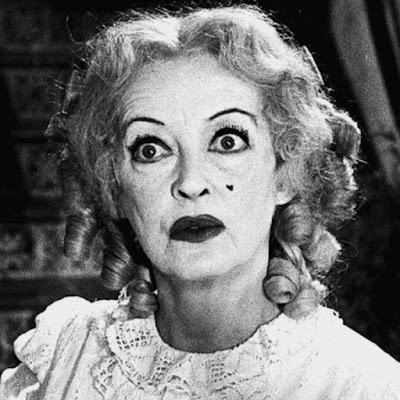 Unfortunately for her aging husband and for herself she was also frivolous, flirtatious and adulterous. Like Anne Boleyn she wears the French hood. 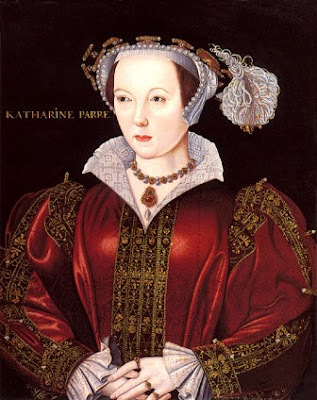 Catherine Parr was the tallest of Henry's wives, standing at 5 feet 10 inches. She had reddish brown hair and hazel eyes. In the portrait she wears a gown with a high collar and wears a flat cap hat with a white feather. Linen Shirt - An undergarment like a female chemise. Lower or Nether Socks - Long length stockings made from either wool or silk, held in place with garters. Round Hose or Upper Socks - Similar to long shorts, often made from different panels of fabric giving them a slashed and puffed up appearance. Codpiece - A padded pouch on the front of the crotch attached to and made from the same material as either the Round Hose or the Jerkin. Doublet - A thick tight fitting shirt sometimes made with vertical slashes exposing different materials giving a puffed up appearance. 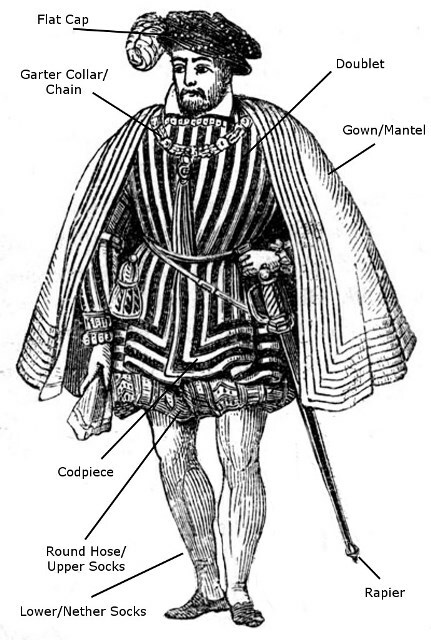 Gown or Mantel - To be worn over the Doublet and Jerkin, sometimes trimmed with fur, sleeves could be fastened at various lengths using aglets. Flat cap - Flat hat often decorated with a feather and embroidered with jewels. Garter Collar/Chain - Denoting which order or office you held. Rapier - Swords were always carried by men. Cane - The top of the cane served as a receptacle for perfume or snuff. Watch: Henry VIII had a one handed watch hung around his neck. Minute hands were not introduced until the seventeenth century. Shoes - Flat leather shoes with slits cut out to expose the colored lining. 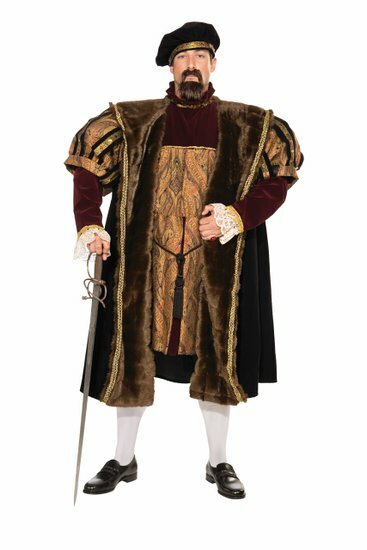 In his youth Henry VIII was renowned for being handsome and athletic. The Venetian ambassador said "His majesty is the handsomest potentate I ever set eyes on; above the usual height, with an extremely fine calf to his leg, his complexion very fair and bright, with auburn hair combed straight and short." However, after a sporting accident that led to an ulcerated leg he started putting on the weight. Measurements taken from his armor reveal that he had a 52 inch waist and a 53 inch chest. It is now his weight and his beard that are now his most recognizable characteristics.